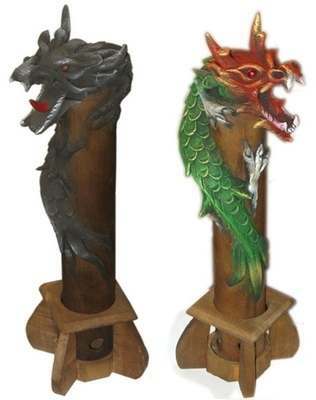 The 'stem' of the dragon is made of wood, with compressed sawdust forming the dragon itself. Burn incense sticks or cones in it's base, and it smokes from it's mouth. A very dramatic effect!